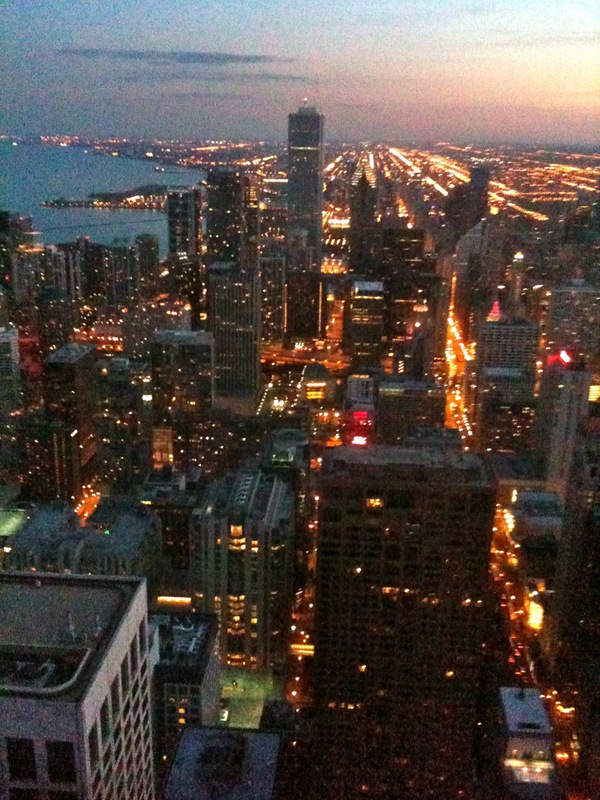 Dinner in the Chicago sky! We all have special occasions in our life: birthday, anniversary, promotion, graduation, the list goes on and on. 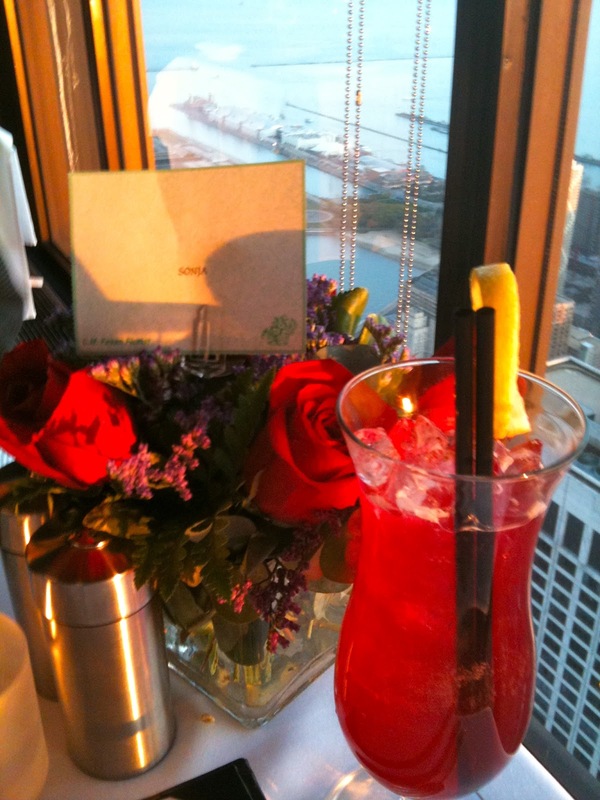 A great place to celebrate is The Signature Room in Chicago, Illinois. My husband surprised me with dinner here for my birthday recently. 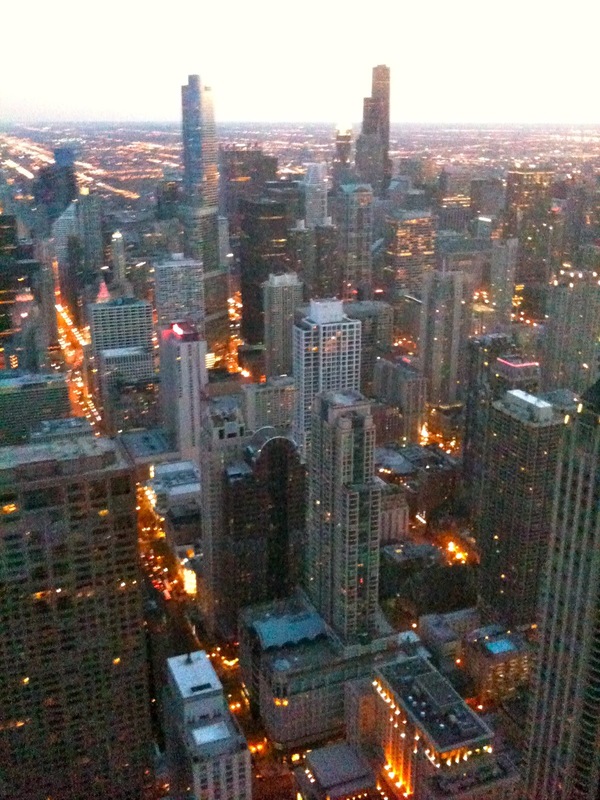 Chicago is a great place to spend the weekend. So many things to do. But that is another story. 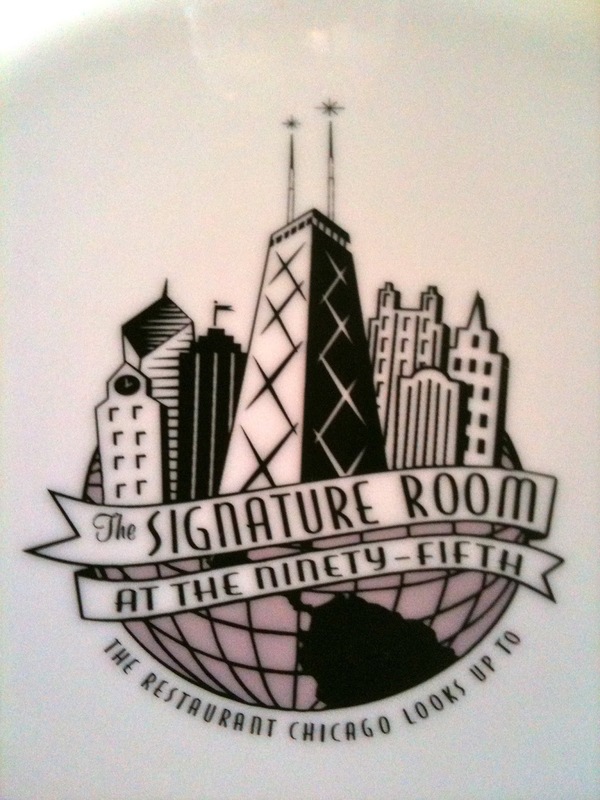 Whether you live in Chicago or are just visiting, I suggest this restaurant for your special occasion. 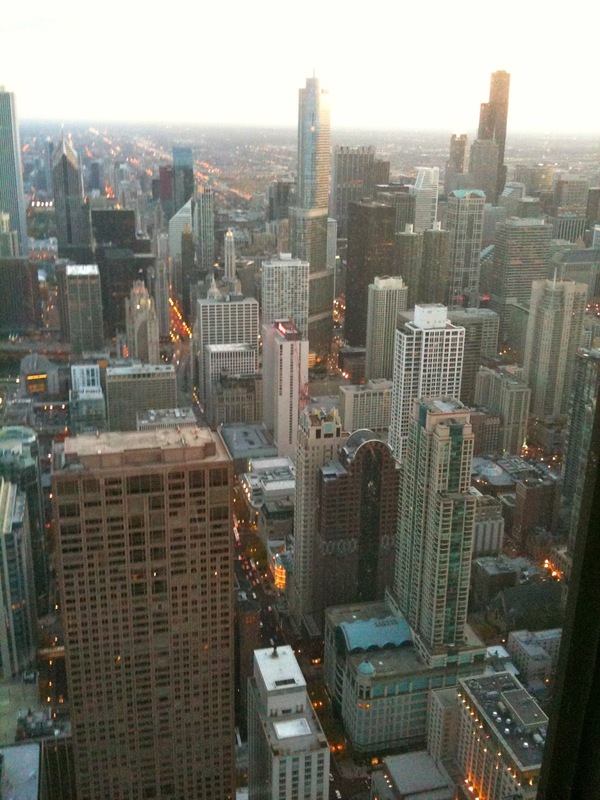 It is located on the 95th floor of the John Hancock building. My husband planned the evening out perfectly. He arranged us to leave and get there in time to enjoy the sunset. He looked up the sunset times and the weather to make sure we would be able to see it! 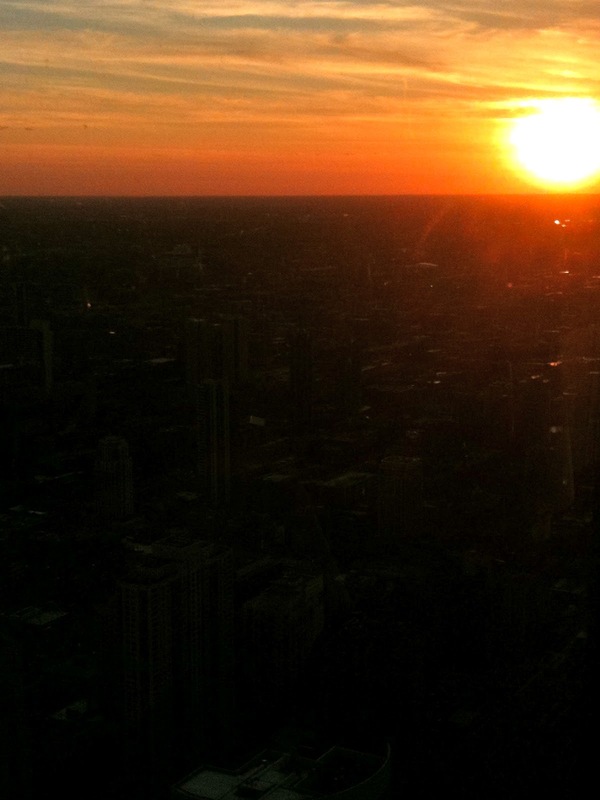 He asked for a window seat so we would be able to see the sunset perfectly from our table. He called ahead to the restaurant for flowers to be put on the table and told them it was my birthday. 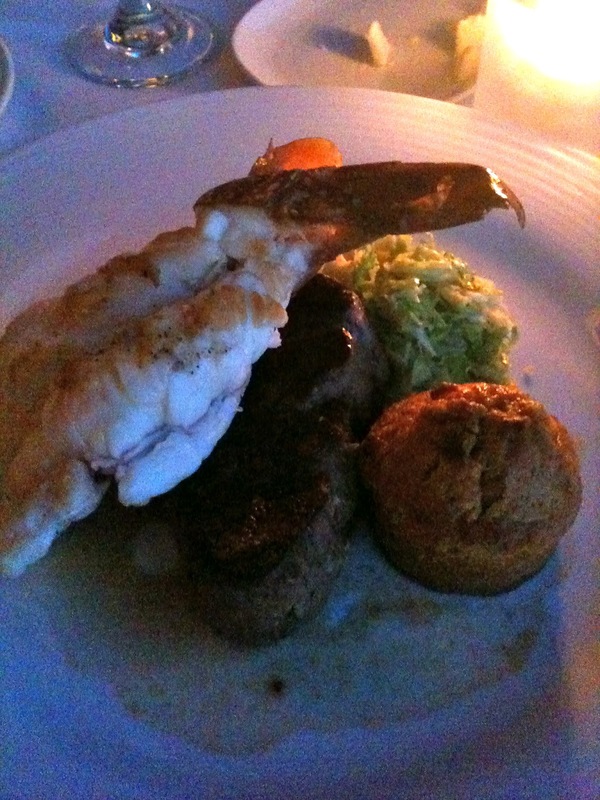 All this, plus a great view with dinner would have been great, but the food was fantastic! I was impressed! The perfect ending to a perfect evening! It looks like it was a lovely evening! I'm jealous of that view!